I have no idea! 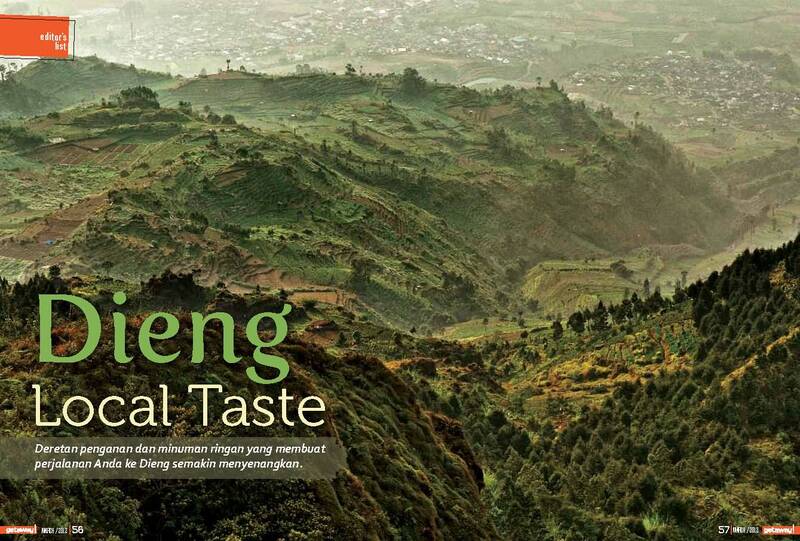 A few days before the deadline, Cita, my editor at Getaway, asked me to write an article about Dieng to fill the cheesy rubric of Editor’s List. So I made this. Shame on me, hahaha. Appeared on Getaway! 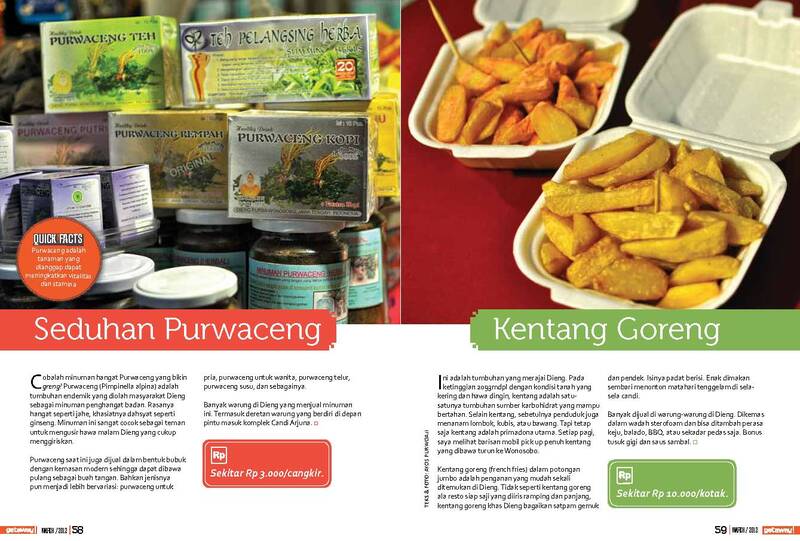 Magazine, March 2012 edition. 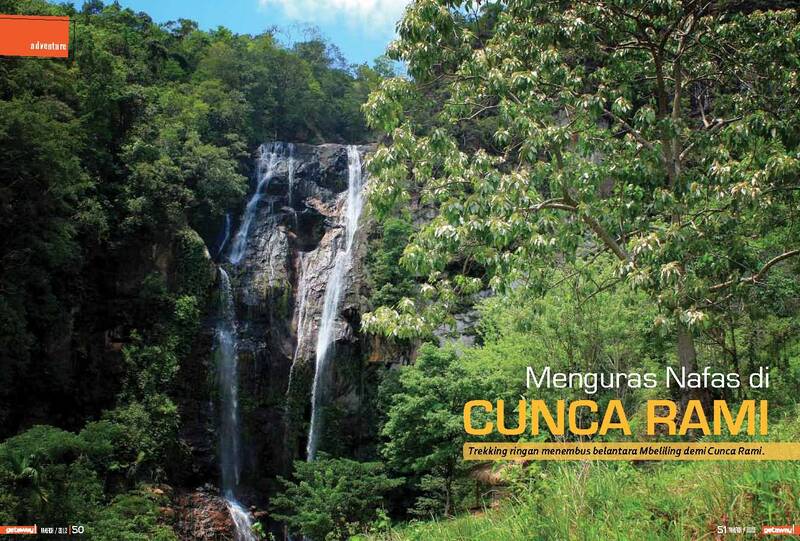 In West Manggarai, hidden among the great forest Mbeliling, there are three waterfalls that interesting to visit: Cunca Rami, Cunca Wulang, and Cunca Lolos. 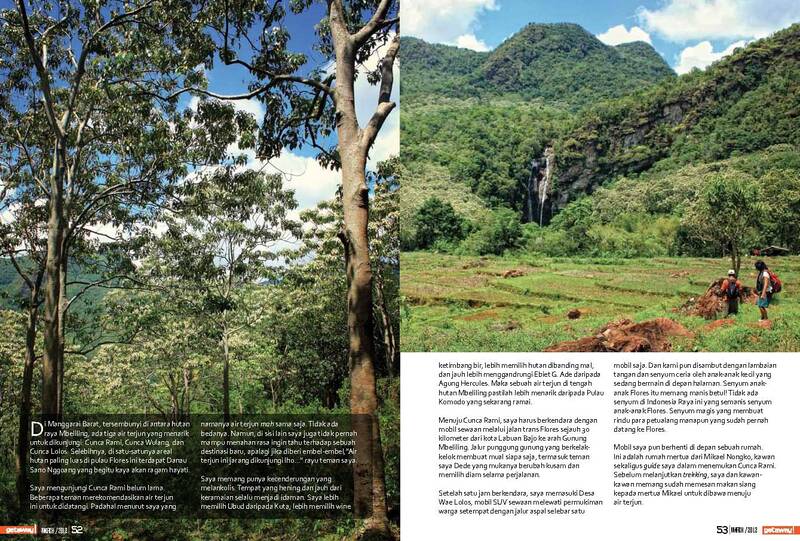 Moreover, this most extensive forests on the Flores Island, there is Sano Nggoang Lake which is so rich in biodiversity. Towards Cunca Rami, I have to drive a rented car through the Trans Flores highway as far as 30 kilometers from the town of Labuan Bajo. Next I have to trek about one hour to get to this waterfall. 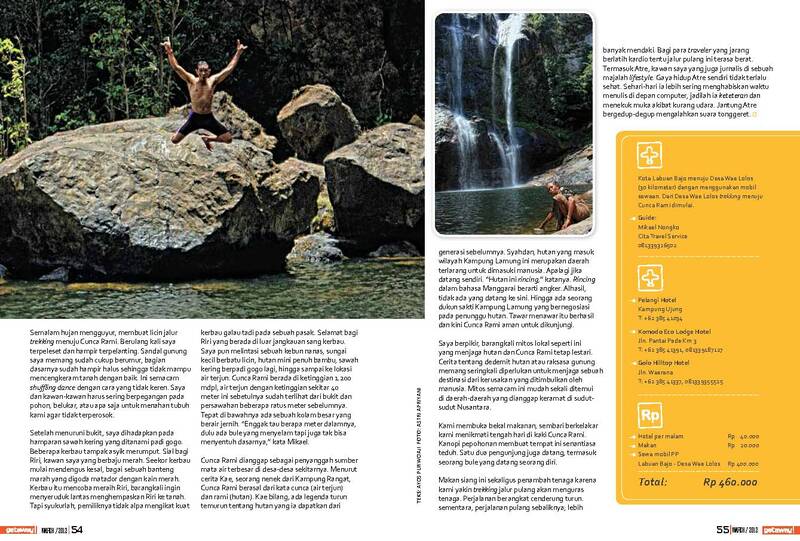 My short article about Cunca Rami just published on Getaway! 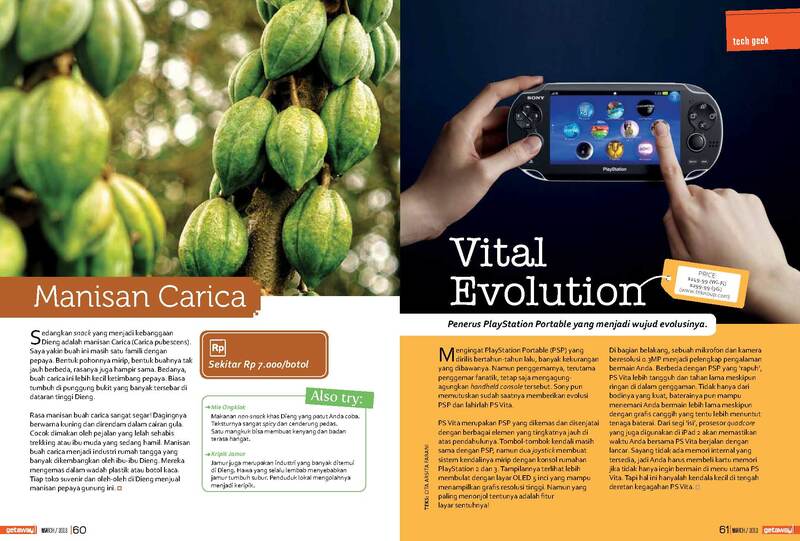 Magazine, March 2012 edition.